Interpublic reached an agreement with activist investor Elliott Management: The agency holding company is nominating three new board members and creating a new finance committee to focus on margin expansion. The settlement comes during the four-week window Elliott was given to nominate its own IPG board members before the company's May 21 annual meeting. Elliott will now back the new nominees. They were selected after a search and interview process involving both Elliott and IPG. As a result, two current IPG directors, Jill Considine and Richard Goldstein, will retire on March 1 from the board, which expands to 10 members from nine. All three independent board nominees do not have formal ties with Elliott Management. They will also sit on the new Finance Committee, with the remaining two committee members from IPG's board still to be named. Elliott has asked for two of them to be added to IPG's corporate governance committee, which has oversight of succession, sources said. In Elliott's conversations with industry execs about possible replacement candidates for Roth one frequently mentioned name is former Omnicom chief financial officer Randy Weisenburger, once thought to be in line to succeed that company's CEO John Wren, according to sources. Weisenburger, who was one of the founders of Wall Street investment bankers Wasserstein Perella, told Adweek he has no current interest in returning to the business since he has a 15-year non-compete agreement with Omnicom. The standstill agreement between IPG and Elliott Management, which is described as "amicable," is binding until the next window for board nominations opens in January 2016. Elliott Management, one of IPG's largest shareholders with a 6.9 percent stake now, has an ownership cap of 9.9 percent. And some people familiar with the investors believe they will increase the stake in Interpublic. While the investors' objective is to improve the company's margin levels to industry standards, Elliott Management continues to look for possible acquisition deals for IPG as well, sources said. Interpublic will release its fourth-quarter and 2014 earnings on February 13. Deborah Ellinger is the former chief executive officer of The Princeton Review, where she served in that role from 2012 until 2014. She previously served as president, Restoration Hardware in 2009 and prior to that, she was the CEO of Wellness Pet Food from 2004 to 2008. She was also evp, business development and strategy at CVS Pharmacy from 2001 to 2003, svp, strategic planning and business development at Staples from 1999 to 2001, and a partner at The Boston Consulting Group. 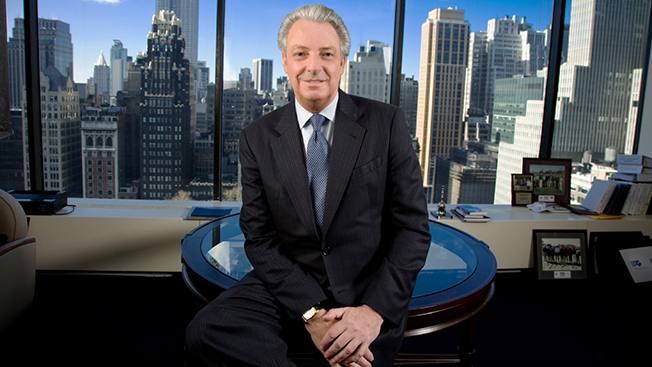 Henry Miller has been chairman of Marblegate Asset Management LLC since 2009. He was co-founder, chairman and a managing director of Miller Buckfire & Co. LLC, an investment bank, from 2002 to 2011, and CEO from 2002 to 2009. Prior to founding Miller Buckfire & Co. LLC, Miller was vice chairman and a managing director at Dresdner Kleinwort Wasserstein and its predecessor company, Wasserstein Perella, where he served as the global head of the firm's financial restructuring group. Jonathan F. Miller was chairman, CEO of News Corporation's digital media group and News Corporation's chief digital officer from April 2009 until October 2012. Miller had previously been a founding partner of Velocity Interactive Group, an investment firm focusing on digital media and the consumer Internet, from its inception in February 2007 until April 2009. Prior to founding Velocity, Miller served as chief of AOL from August 2002 to December 2006, and before that as CEO and president of USA Information and Services, of USA Interactive, which was a predecessor to IAC/InterActiveCorp.